The US and Estonian troops took part in military drill aimed at "promoting peace and stability in Europe," the Pentagon stated on Tuesday. WASHINGTON (Sputnik) – A three day exercise in which US Army soldiers and their Estonian counterparts practiced firing tank-killing ammunition reflects North Atlantic Treaty Organization (NATO) efforts to promote peace and stability in Europe, the US Department of Defense said in a press release. "It is always good to remain current on our weapons systems," First Lieutenant Paul Castellini stated in the release. "It is really important to do this with our counterparts; it shows our capabilities, also we can learn from their capabilities." The March 13-15 exercise involved Abrams tanks and Bradley Fighting Vehicles shooting at mock targets on a firing range, with wire-guided TOW missiles and the Javelin weapons system, the release explained. 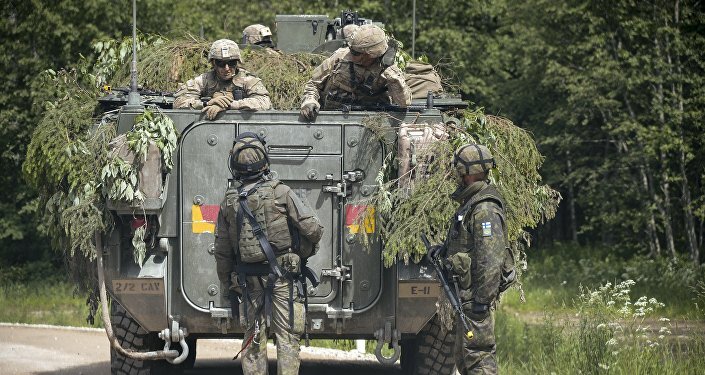 The exercise was part NATO’s Operation Atlantic Resolve, which the release described as a demonstration of the US commitment to collective security in Europe.